Commercial – AR Electric Inc.
We can help you design, install and repair all lighting for your buildings, retail properties and commercial spaces. With longtime customers across a variety of industries, we understand the unique demands of the marketplace. Your business deserves the very best, with the most cost effective, environmentally appropriate and enduring products available. Insist on the professionals who will do it right the first time. 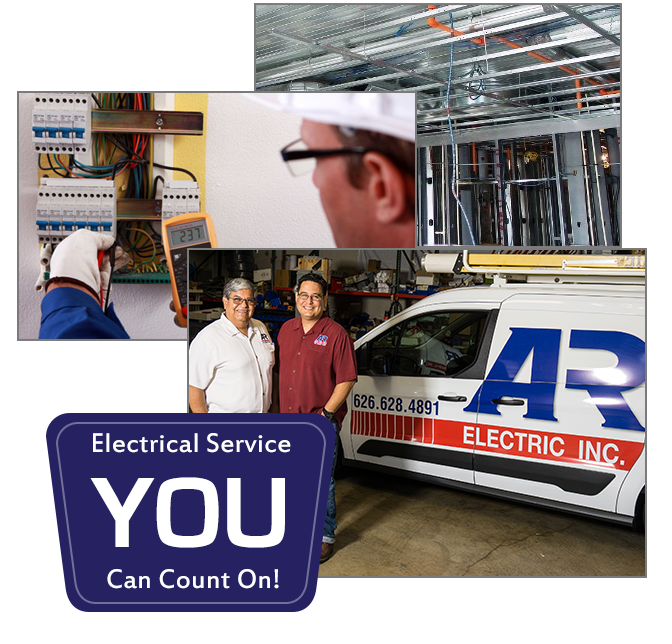 Only AR Electric has the proven track record you can depend upon for any commercial project. You’ll save money and time with AR Electric, the reliable team you can count on. Even the Smallest Changes Can Make a Big Difference! We handle everything for our commercial customers from the ground up. Whether you’re a large supermarket or an exclusive retail bookstore, we’ll bring attractive, conversion focused and cost effective utility strategies to the table. Save money with our smart products and design expertise. Make a difference and go green. We can shrink your electricity footprint by 15% or more. Just upgrading your light fixtures can result in significant cost reductions. Ask us how! We can handle everything from minor repairs to design, installation, and maintenance for new commercial construction projects. Don't see what you want on the list? Drop us an email and tell us your situation.